Boondocking. That very word either strikes fear into the uninitiated or elicits a look of confusion from those that don’t have a clue what the word means. Boondocking simply means camping without hookups. More specifically it (usually) means camping in an undeveloped area without any connected utilities. (Usually public lands but can include locations such as casinos and other parking lots. However, people typically call parking lot type stays as “dry camping”.) In other words, it’s just you and your RV. And the best part? It’s camping for free! Winter is an awesome time to boondock. Because of the cold, most boondockers are driven south to warmer temperatures to avoid freezing pipes. The desert Southwest is a VERY popular location for its temperatures and access to tons of public land. 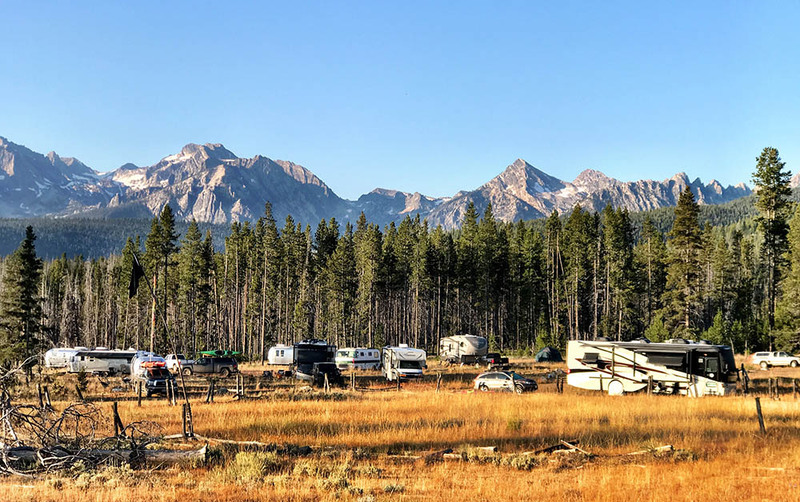 Boondocking isn’t to be feared, but there are some things to consider before you venture out “into the wild”. So, you want to try boondocking, but where in the world do you find places to camp for free this winter? Boondocking in the snow is not much of an option for most of you. Getting snowed in without a plow to get you out is not smart, nor is it fun. So, unless you enjoy freezing weather, you will find yourself south or in a campground during the winter. If you are like many of us, the Southwest is where you will end up. For boondocking opportunities, this is a prime location. Western states have huge swaths of public land, much of which is available to camp on. 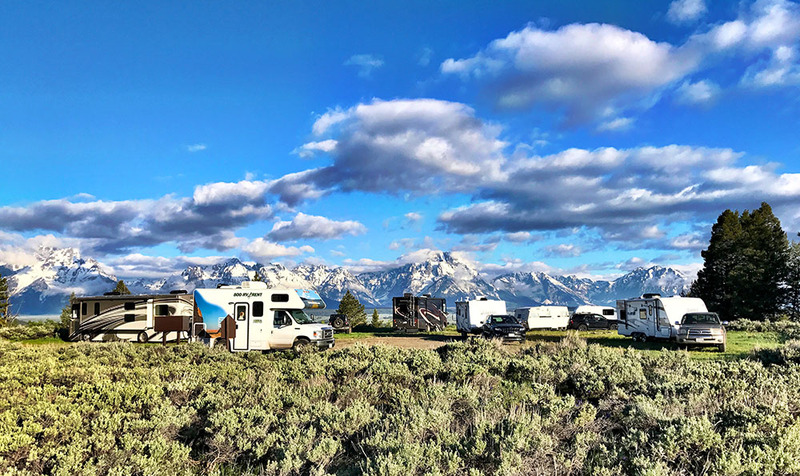 Yes, there are boondocking opportunities in other parts of the country, but they are greatly limited when compared to the great West. How do you find suitable spots to give this boondocking thing a try? There are two common sources to find boondocking locations. Free Campsites is a website that lists free camping (boondocking) locations. However, it caters to all sorts of campers, including car campers and tenters. This isn’t necessarily a bad thing, but when you have a 30+ foot RV, you need to know you can fit. 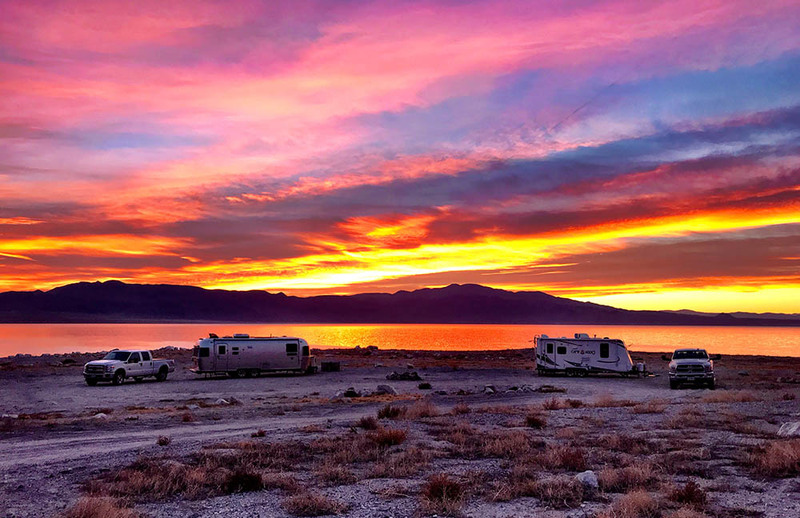 Many reviews on Free Campsites are from people that don’t have to worry about the size factor (tenters, car campers, etc), so you have to be VERY careful in weeding out locations that aren’t RV friendly. My first choice to find boondocking sites is Campendium, which is a website that specifically targets RVers. Therefore, the locations listed on Campendium are RV friendly, eliminating the need to figure out which spots you should consider. Once on Campendium, choose “free” from the “price” drop-down menu to filter for potential boondocking locations. Read the reviews and find your spot. I understand that boondocking for your first time can be a daunting task. Camping alone with no one around can, at first, seem scary. Just you and the coyotes. Meh, it isn’t anything to fear, but there is an easy way to experience boondocking in a ‘safe’ environment: Meet-ups and Convergences. 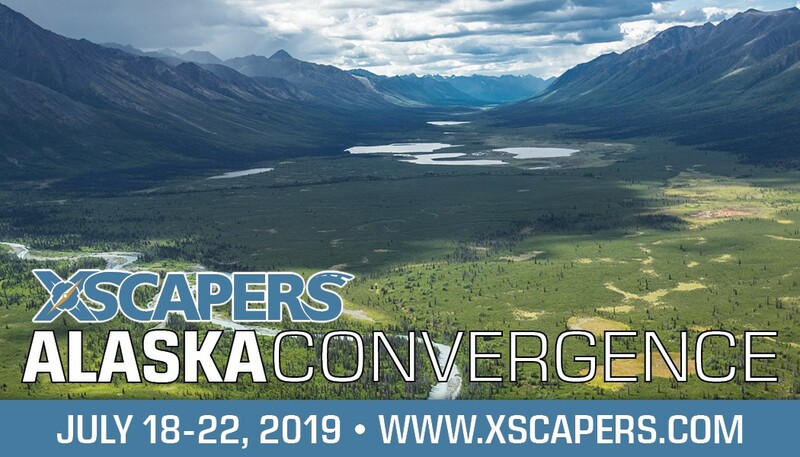 Specifically, “Xscapers” convergences. 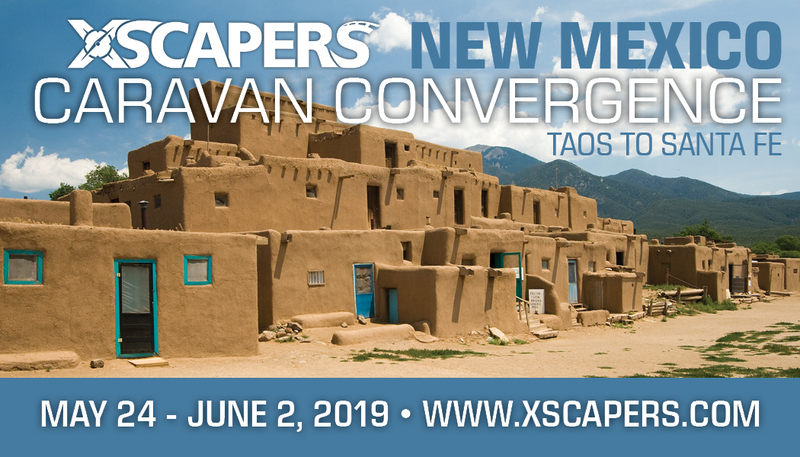 Multiple times a year, the Xscapers put on get-togethers, often at boondocking locations or “dry camping” spots. 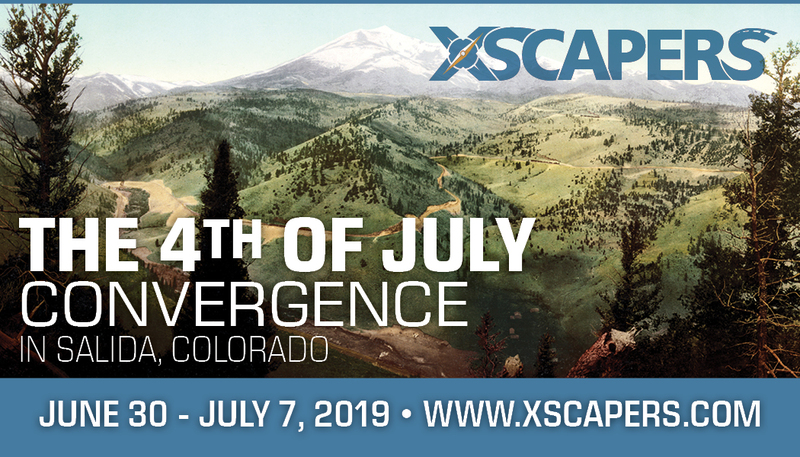 Xscaper convergences are held throughout the United States and range from the Annual Bash (100’s of attendees) to smaller, more intimate convergences (a few dozen rigs). Convergences let you see what boondocking is like while surrounded by like-minded individuals. 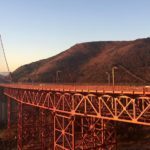 They are usually more than willing to help you overcome any fears you might have (about boondocking – any other fears might require professional help ). Convergences are also a great place to find new friends. You’re out enjoying the wilds doing the boondocking thing, which means you are no longer have access to unlimited water from a campground spigot. Yikes! What to do? Simple. Don’t use water! Oh? You actually want to quench your thirst and maybe clean your stench? Fine. Obviously, you aren’t likely to find an unlimited water source in the middle of the desert that you can continually fill your rig with, so you might want to do a little planning ahead. Obviously, you should arrive at your boondocking location with a full water tank. For those of you that are fortunate enough to have a large fresh water tank (hello 100 gallons!) you are set for a week or two assuming you are smart with your water use. Even those of us that have smaller fresh water tanks can swing a week plus. I have a 45-gallon fresh water tank and can make it a week no problem (though my business partner claims I’m a water waster as she has a tank half the size and can go the same duration – just goes to show your mileage may vary). Don’t be wasteful when it comes to water use. By this I mean, when using a faucet, only use the minimal amount of water needed. Don’t run the faucet full blast, ever. Don’t shower every day. You’ll fit in just fine with your boondocking neighbors. Get over the need to smell/feel spring fresh. If you’re in the southwest, your environment is dry. You don’t sweat like you would in the East. So, have a sponge bath or if you shower, turn off your water between rinsing. When washing dishes, run your water closer to a trickle than full blast. Use paper towels (or your dog) to get majority of food off dishes before rinsing. If you are unable to stretch your water supply out the length of time you are boondocking, it may be possible to use reusable water containers (usually available in 5 or 6 gallon sizes) that have a spout that allows you to pour fresh water into your RV’s water fill port. There are two options to keep your RV’s house batteries topped off, with one being more accepted than the other: solar or generator. Solar is the preferred way to go. It is silent which makes for a more enjoyable, relaxing environment for both you and any potential neighbors. If you are going to make boondocking part of your repertoire, you are going to want to invest in solar. 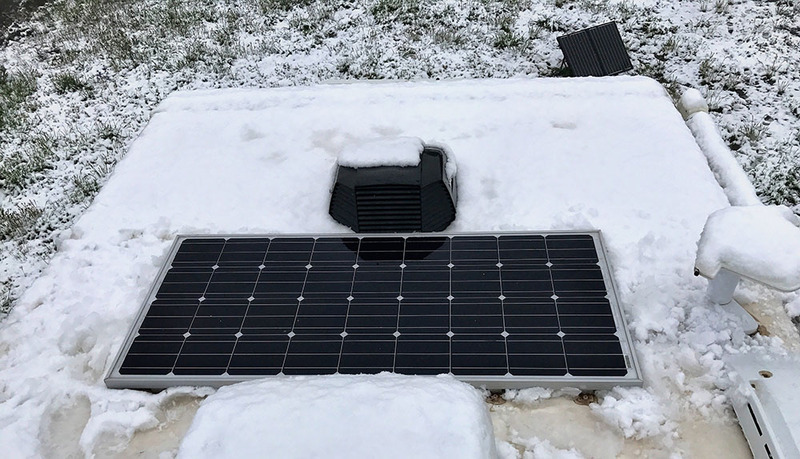 Whether that means a full-blown solar setup on the roof of your RV, or a ground deploy unit that is portable, it all depends on your power needs. You can always start with a ground deploy and expand later. If your rig doesn’t have an onboard generator (most motorhomes will, while it’s a rarity with trailers), you can use a portable generator. For the sake of anyone around you, please use an inverter generator that is relatively quiet. You can buy a Wen inverter generator for about the same price as a contractor generator. Your ears and your neighbors’ ears will thank you for it. Even if you escaped to the desert Southwest in order to get away from the cold winter temps of the north you may still run into cold and sometimes freezing nights. This means you need something to heat your rig. The logical choice would be to use your RV’s built-in furnace. This is an excellent choice with one caveat – RV furnaces use a lot of power when they are running. High power use (for a relatively short time while you warm up your rig) isn’t a big deal if you have the battery capacity and a way to keep your RV house batteries charged. However, if you don’t want to run a generator a lot, and don’t have sufficient solar capacity, there is another option. 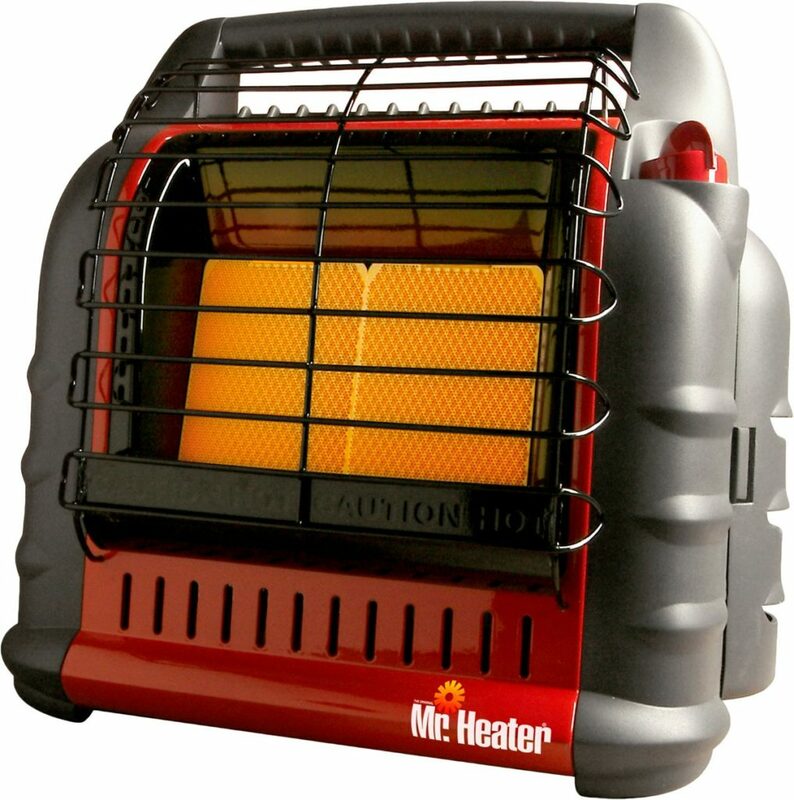 A Buddy Heater is a portable propane furnace that runs off the small green, disposable propane cylinders. Or, you can purchase a hose (only available for the Big Buddy Heater) that connects to a larger propane tank. You can either plumb it into your existing lines or run it outside to a free-standing tank. It’s much more economical and runs much longer without having to refill. Another benefit of the Buddy Heaters- they are silent. Most RV furnaces are loud. If you are a light sleeper, a furnace might wake you. The Buddy could be your new best friend for sleep. In addition, you can help keep the heat in. Many people use Reflectix on their windows to keep heat in/cold out. Put a foam insert into all your ceiling fan openings. You can buy these at any RV store. Parking your RV broadside to the South might help it warm up during the day. Winter boondocking isn’t much different than boondocking during other times of the year with one exception. 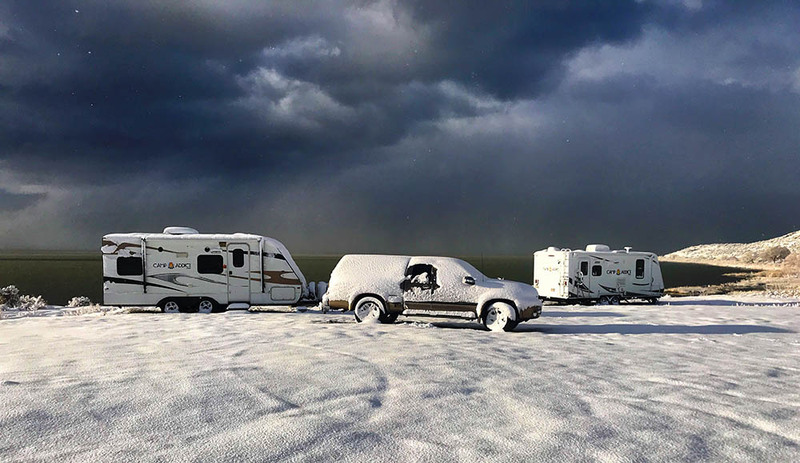 Because most RVers tend to head south in the winter, there are certain spots of the country that have high concentrations of rigs in the cold months. 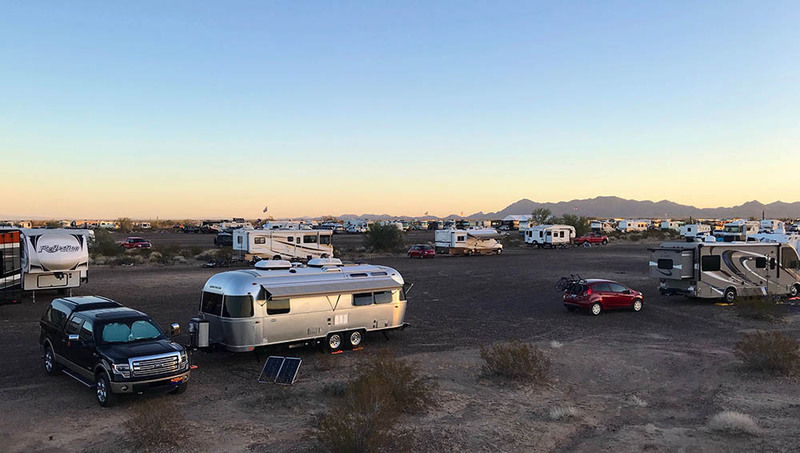 Heading to such a location where winter boondocking is popular (desert Southwest for example) is a great way to find a group of people that are not only boondocking, but willing to share their knowledge, making it easy for you to dip your toes in the boondocking waters. My suggestion is to find an Xscapers convergence and use this ‘controlled’ environment to try your hand at boondocking. If it’s not for you, the worst-case scenario should be you have spent a week with a great group of people and then you can go back to staying at RV parks. However, you may just find that boondocking fits you well and you’ll never want to go back to paying for camping in a crowded environment. 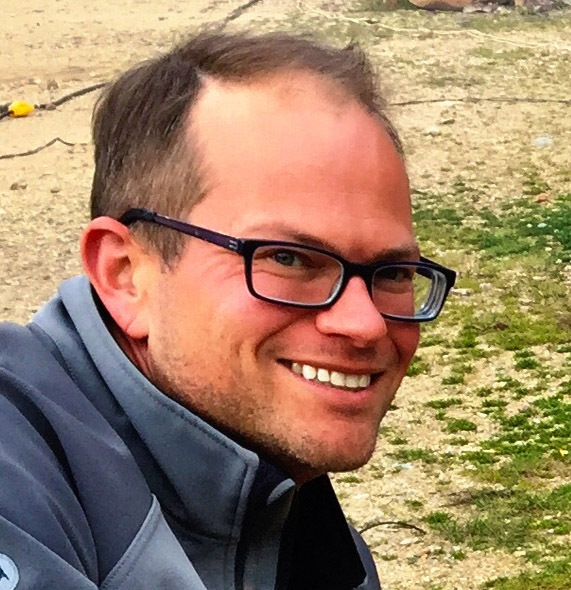 Marshall is the co-founder of Camp Addict, the leading RV product education and review website. He’s been full-time RVing for 4.5 years, spending most of his time boondocking on public lands. In 2017, he spent a whopping $39 on campgrounds.